LOVE ♡ made with pure rose essential oil and real rose petals. A perfect natural soy wax candle for gifting to someone or gift to oneself. With Valentines Day coming up and Mother’s Day it’s a perfect gift for a loved one. 8.5oz 30 hour burn time. Love – Rose + Petals by LT.
Laura believes in a living a life that is simple and consciously designed to be congruent to who we are. We are all different but the one thing we all have in common is LOVE. It’s a basic human need that we all require and love is something we can all give. And in the end, the love you take, is equal to the love you make. Paul McCartney. 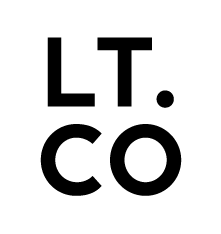 Everything we do, make and create at LT Co. is done with a deep conscience. Our L♡VE candle was created to be enjoyed while making memories with loved ones. It is a perfect gift for anyone who loves to light a candle and enjoy the warmth and scent it gives. Love – rose + petals is a perfect gift for Valentines Day or Mother’s Day. You know it’s love when all you want is that person to be happy, even if you’re not part of their happiness. Julia Roberts. While burning your Love – rose + petals soy scented candle the petals will burn down with the wax. Don’t burn when the wax reaches an inch from the bottom of the jar. Wake up and smell the Roses, life is too short to not life a consciously designed life.